CIA-armed militants are now shooting at Pentagon-armed militias in Syria, showing a complete lack of control by the US over its war machine in the war-torn country. The two groups of militants have begun to fight each other in areas between the besieged city of Aleppo and the Turkish border, US officials and militants’ leaders have confirmed. Their fighting has intensified during the past two months as they have repeatedly shot at each other while maneuvering through the plains on the northern outskirts of Aleppo. In February, Pentagon-backed units, moving in from Kurdish-controlled areas to the east, forced Fursan al Haq, a CIA-armed militant, to leave the town of Marea, about 20 miles north of Aleppo. Similar clashes were reported in the town of Azaz, a key transit point for militants and supplies between Aleppo and the Turkish border as well as the Aleppo neighborhood of Sheikh Maqsud. The deteriorating situation shows the difficulty the US is experiencing in coordinating its various armed groups that are trying to topple the government of Syrian President Bashar al-Assad, fight the Daesh (ISIL / ISIS) and shoot at each other at the same time. We know we need a partner on the ground. We can’t defeat ISIS without that part of the equation, so we keep trying to forge those relationships. 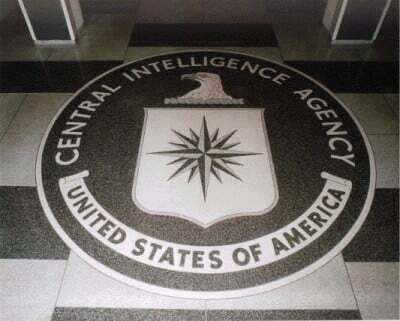 At first, the CIA-armed militias and Pentagon-armed ones were mainly operating in separated areas of Syria with the former fighting in the west of the country and the latter operating in the northeastern parts. However, with Russian airstrikes against ISIS terrorists, Kurdish-led groups could expand their control to the outskirts of Aleppo, causing them to have more frequent conflicts with the CIA-backed outfits. Syria has been gripped by foreign-backed militancy since March 2011. More than 260,000 have reportedly lost their lives and millions displaced as a result of the violence. The US-led coalition has been pounding purported ISIS positions inside Syria since September 2014, without any authorization from Damascus or the UN. However, they have done little to stop the Takfiri terrorists’ advances in parts of Syria; Press TV reported.